We're coming up on my one year anniversary of living in Montana. 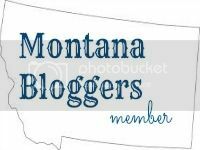 In that time, I've been on the hunt for other Montana bloggers and my goodness you guys are hard to find and super spread out. Lauren Caselli and I got to talking and concocted the idea of creating a Montana bloggers group. 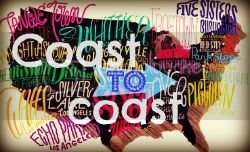 Then I saw Melanie create a blogger map for her state and voila, more ideas born. So. You'll find the map below. I've added in those bloggers I know, but please pass it on and encourage more bloggers to get on the map so we can all find each other and be friends! Just submit your info and I'll add it to the map. We have a Twitter account too! Right now I have a makeshift logo, but if anyone is interested in designing a nicer one, let me know! I'd also like to feature Montana photos as the Twitter cover photo each month. If you're interested, send me photos and we can choose one as a group on a monthly basis. Added bonus, here's a button to add to your sidebars if you're interested.